On Tuesday in San Jose, Apple executives rolled out a much thinner, lighter version of the iMac, the company’s signature desktop computer, which comes in at only 5 mm thickness for both the 21.5-inch and the 27-inch model. The models will ship before the holidays, with the 21.5-inch version starting at $1299 and shipping in November, and the 27-inch starting at $1799 and shipping in December. Apple was able to build the much thinner version of the iMac by using a technique called friction stir welding, which melds the aluminum backing and the display together, and taking out an air gap between the display and glass. The company said the new screen will have 75 percent less reflection. 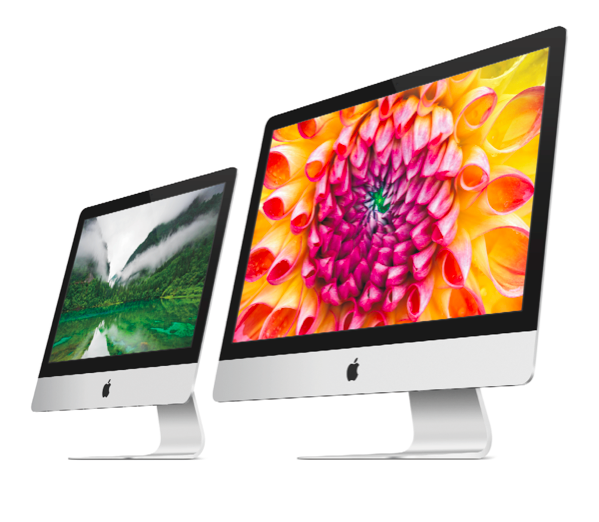 The last iMac updgrade came in May 2011, meaning these changes will come just in time for the holidays for consumers looking for a new model. The new iMac will have four USB 3.0 ports, two Thunderbolt and gigabit Ethernet ports, as well as a FaceTime camera and dual mics. It will weigh only eight pounds, although it’s hard to imagine many people carrying them from place to place. The device will also for the first time be available with an optional hybrid drive dubbed “Fusion Drive” that combines Flash and traditional HDD storage, offering much faster access to often-used applications. Friction-stir welding was upgraded and improved by EADS for aerospace, and the innovation is now being applied as the DeltaN FSÂ® technology to other industrial applications. Unlike traditional weldingâ€™s melting process, friction-stir welding intermixes metal in the areas being joined â€“ softening up material for fusing by mechanical pressure. EADSâ€™ break-though is a design that puts the high revolutions on the welding toolâ€™s pin, and zero revolutions on the toolâ€™s shoulder. This successful design has been endorsed by industrial robot-maker KUKA, along with Grenzebach Automation â€“ a system integrator and process solutions provider. Oh, and it will have 1 gigE port, and up to 8 pounds has been cut off the weight (depending on config). It will actually weigh between 12 and 21 pounds. I think the friction stir welding melds the backing and the aluminum display chin together, not the display itself, for clarification.